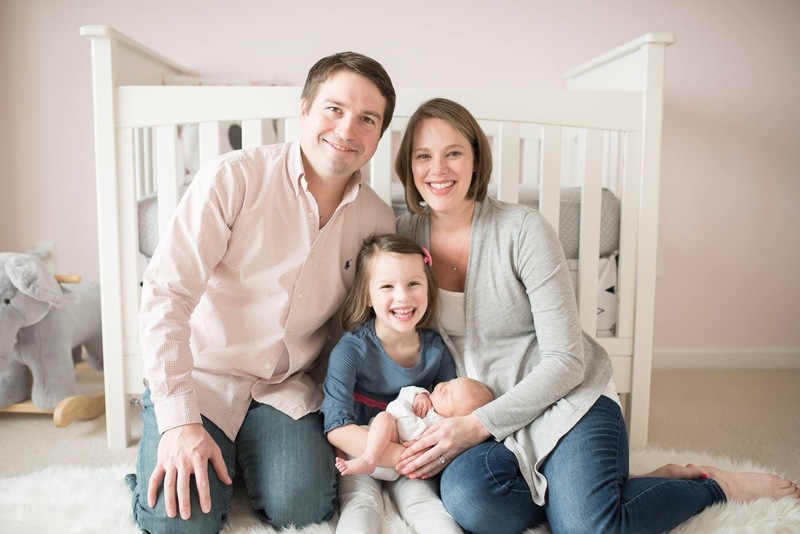 My second Mother’s Day and an exciting announcement!! I love Mother’s Day! The weather is finally breaking in Buffalo and it’s usually a fun day of flowers, mimosa’s and family. Now that I’m a mom though, I kinda hate that I have to share the day! Plus I want to celebrate my mom and mother in law, but I want to be spoiled a little too, so I told my husband this year I wanted to spend Saturday with our little family and then I wouldn’t mind sharing Sunday with everyone else. (I know I sound like a child). He of course agreed and said we could do whatever I wanted. The weather was so perfect on Saturday, so we ordered lunch and brought some wine and took it to the park and had a little picnic. 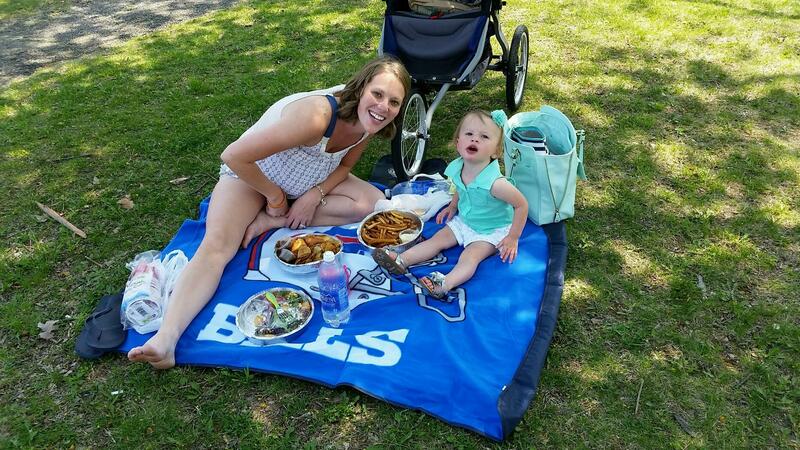 Little A loved eating lunch on a blanket on the ground and did surprisingly well! Afterwards we walked around and headed over to the Cherry Blossom festival that was in the park. It was a perfect way to spend time with the little one who made me a mother! On to the most exciting part of this post!! I’m going to be an Aunt!! I’ve known this for awhile, but didn’t want to share anything publicly! We just found out it’s going to be a little girl! I’m so excited Ada will have a girl cousin only 2 years younger! 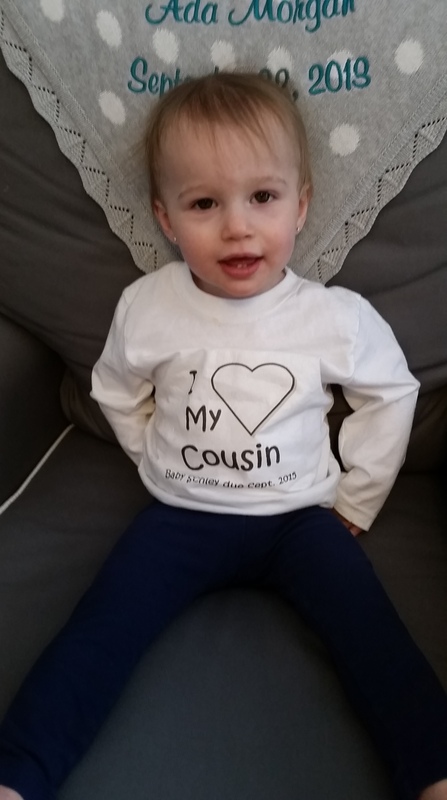 She had us all over for dinner a couple months back and gave Ada a t-shirt to wear that said “I love my cousin” I of course got it right away, but we put it on her and it took my parents a good half hour, and even then we finally had to start telling them to read Ada’s shirt! FINALLY they got it, it was so exciting! 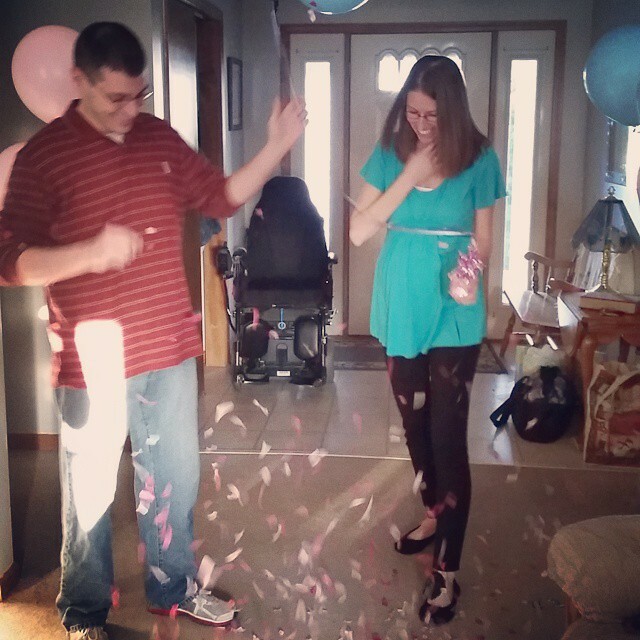 About 2 weeks ago they had a gender reveal party! I was in charge of filling a black balloon with the right color confetti. I took the envelope my sister gave me from her doctor to Party City and asked them to read the envelope and fill it, I was so proud of myself for not peeking on the envelope! I had a feeling it was going to be a girl (only because the black balloon was a little bit see thru – ok only if you held up to the light, which I may have done)! I am just so excited that we’ll both have little girls that we can spoil together!